Virginia's House of Delegates voted 50-48 to block proposed Northern Virginia hotel and real estate transfer tax increases to pay for Metro. RICHMOND, Va. — Virginia’s House of Delegates voted 50-48 to block proposed Northern Virginia hotel and real estate transfer tax increases to pay for Metro, dealing a blow to local government leaders of both parties who had warned it will lead to too much money being taken away from other Northern Virginia transportation projects. The Senate voted 26-12 in favor of the tax increases. But the measure fell short in the Republican-controlled House. The proposed changes included increasing from 2 to 3 percent the tax on hotel stays in areas served by or soon to be served by Metro and an increase in a real estate transfer tax from 15 cents to 20 cents per $100 of assessed value. “We’re going to make sure Metro is funded, we’re going to make sure Metro is reformed, and we did it without raising taxes,” Fairfax County Republican Del. Tim Hugo said after the session adjourned. While he argued the Northern Virginia Transportation Authority will still have $266 million per year available for other transportation projects, Falls Church Democratic Del. Marcus Simon said that remains far short of what the region really needs. “The entire state is going to end up having to fund Northern Virginia road projects…our projects that would have been paid for with NVTA money are going to score very well [in state funding applications],” Simon said. The 50-48 House vote was technically not on the proposed taxes themselves, but on whether to vote on them at all. “This was the vote. And the fact is that Tim Hugo and House Republicans basically voted to not pay for Metro, so that should speak for itself,” Arlington Democratic Del. Alfonso Lopez said. Virginia Gov. Ralph Northam still calls the existence of a regional funding deal for $500 million in additional capital maintenance, repair and upgrade funding a historic achievement, but said that with the vote Wednesday, more action will be needed in the future. “We should continue to work together in the months and years to come to improve this plan so that all Virginians get the most return on the investments they make in their transportation system statewide,” Northam said in a statement. “It is important to note that, by rejecting the proposal I sent down to fund Metro through modifications to two regional taxes, the General Assembly voted to potentially divert funding from transportation projects in Northern Virginia like improvements to Route 1 and Route 28,” Northam added in the statement. 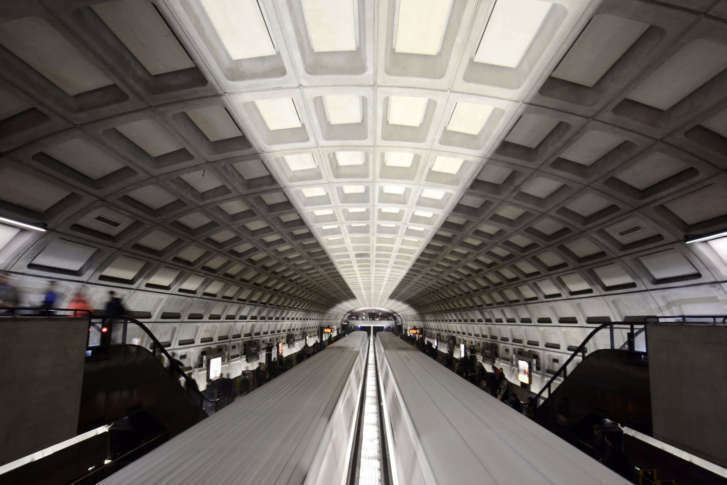 “This vote could also negatively impact other projects across the Commonwealth, forcing Northern Virginia localities to now compete with other regions for limited transportation dollars,” he said. Each chamber did adopt a series of other amendments to the bill, ranging from technical fixes to clarifications that alternate Metro Board members must no longer be permitted to participate in Metro Board committee meetings unless they are sitting in place of a full member of the board. The General Assembly failed to override any of Northam’s vetoes during the annual reconvened session. Each chamber approved amendments to bills on cell towers, juvenile mental health commitment, and drone trespassing. Other amendments approved Wednesday included clarifications on bills requiring free feminine hygiene products for female prisoners and allowing dogs at wineries. Democratic anti-gerrymandering amendments and Northam’s effort to delay implementation of several health care premium bills introduced by Republican senators who oppose Medicaid expansion were rejected.